Last week, this little buddy arrived at my house. I am a little worried that the other appliance might get jealous though, of all the appliances on my counter, this one seems to drum up the most conversation. I didn’t know a blender could do that. 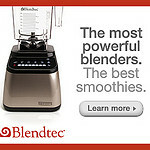 Truth is; once you start using a Blendtec you may begin to wonder if there is anything this thing can’t do. Seriously, it’s amazing (and I’ve only just begun). 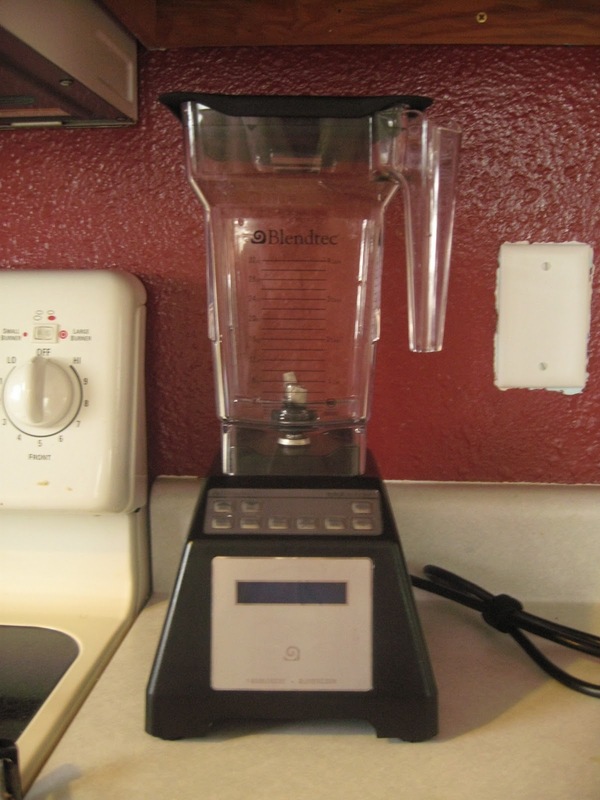 Because I was a little overexcited to get started on blending I bypassed the instruction manual and just got to it.. I figured the advertisements I’d been studying were instruction enough. Why bother with instructions? Let the sky be the limit. Clean up on aisle 4! So how full can you fill Blendtec jars? Well, if what you are blending is mostly liquid, I would follow the guideline in the instruction manual (yes, I did decide to read it) and only fill to the highest measure mark. After a quick clean up and wipe down I tried again. Something easy – Orange Julius. All of the views stated in this blog are my own. 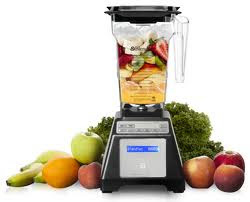 If it sounds like I'm trying to sell you a Blendtec Blender, that is because I probably am. DON'T bet on this being the last post you'll see from me on the subject. Also if you want to win one (a Blendtec Blender)....click HERE. Place all the ingredients into the Blendtec in the order listed, hit the smoothie button and ENJOY! In a blender, combine the orange juice concentrate (thawed), milk, water, sugar and vanilla. Cover and blend until smooth. With blender running, add ice cubes, one at a time, through the opening in lid. Blend until smooth. Serve immediately. That looks delicious! I have a regular blender and while it's adequate, it's just....adequate! The orange julius looks delish! Love love love my Vitamix. Same difference as far as I'm concerned. They are fabulous! Enjoy!